The 2019 NBA Playoffs continue on Monday with a pair of Game 4 showdowns that could be season-enders for two teams. The action starts at 8 p.m. ET when Giannis Antetokounmpo and the top-seeded Milwaukee Bucks (-12) look to complete a sweep of the No. 8 Detroit Pistons. That's followed by a 4 vs. 5 matchup as James Harden and the Houston Rockets (-2.5) can pull out the brooms when they visit Donovan Mitchell and the Utah Jazz at 10:30 p.m. ET. 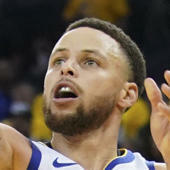 Fans across the nation will be placing wagers on these NBA odds, but before making your own NBA picks, you'll want to see what the best bets from SportsLine data scientist Stephen Oh. The renowned co-founder of Accuscore, Oh uses a data-driven approach to crush sportsbooks. SportsLine's top-ranked NBA handicapper took a sizzling 90-70 run on NBA picks into the weekend that's returned nearly $1,400 to $100 players in a short period of time. Now, Oh has found three lines worth playing Monday -- if you parlay them, you could be looking at a strong 6-1 payout. We can tell you Oh is taking the under (218 points) in Bucks vs. Pistons. Oh has nailed his last three over-under picks involving Detroit. He knows the Bucks have scored at will and with amazing consistency on the Pistons in the opening three games, tallying 119, 120 and 121 points. But the Pistons had one of the NBA's best defenses during the regular season, allowing only 107 points per game (No. 7). Oh says the Bucks could be due for a letdown with a 3-0 series lead, and the Pistons need to show some pride with the season on the brink. "My projections see Detroit's defense having its best effort of the series," Oh told SportsLine. "The Pistons haven't shown enough scoring ability to push the number on their own, so take the under, which hits in two-thirds of my simulations." Confidently take the under in Bucks vs. Pistons and you could be well on your way to a colossal parlay payoff. Oh is also revealing against the spread picks for both Monday games, including one on an underdog that covers in a whopping 67 percent of his computer simulations. Find out everything else you need to know to complete your NBA parlays over at SportsLine. So which Monday NBA picks should you back for a huge 6-1 payout? And which underdog cruises to an easy cover? Check out Monday's NBA schedule below, then visit SportsLine now to get Monday's NBA best bets, all from the renowned data scientist on a massive 90-70 NBA heater. Bucks at Pistons (+12), 8 p.m. Rockets at Jazz (+2.5), 10:30 p.m.